Register now for up to 8 weeks of summer fun. 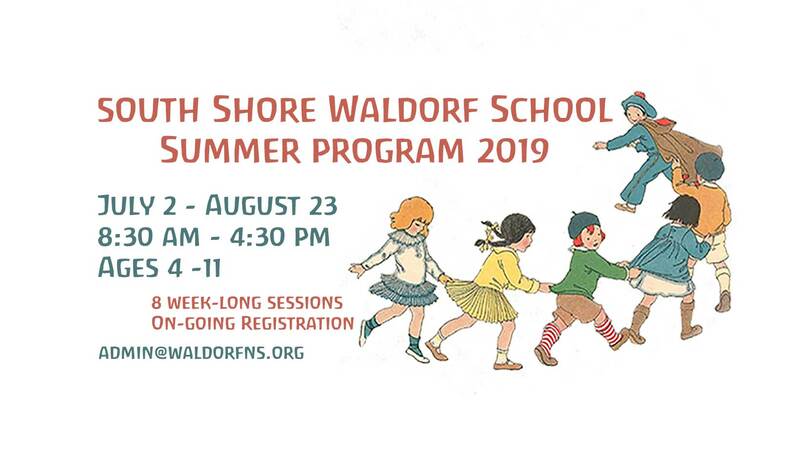 Newcomers and visitors to the South Shore Waldorf School are welcome, so please share this with anyone who might be interested! Led by Waldorf educators, the Summer Program provides children ages 4 – 11 with an informal introduction to Waldorf-inspired education. Activities include circle time, singing, cooking, free play, arts, crafts, handwork and theatre. The Program consists of eight sessions of one week each. Each session will explore a different folk tale, with daily activities arising out of the story. Enrol in one, several, or all days or weeks. Registration is on-going throughout the summer. Our Summer Program qualifies for funding from Pro Kids for any family that needs assistance.